original it was going to have Sigma in it but do to certain things that didn't go the way I planned I changed it to have myself in it using Combat FS Unit, which fit well. Getamped2, the accessories and downtown stage was made possible by Cyberstep inc. I made a plan to make posters of people who play or plan to play GA2. for my first one I made a pic of Me and Jay in a bafabon mission. it took a lot of effort and I'm proud of the results even though it could be better. GetAmped2 is game made possible by Cyberstep inc.
Pokemon Shield and Sword has been Announced today. Which Starter are you choosing? Me: "I'm a little puppy in a barrel of bacon"
aww....all out of bacon now what? Me: huh......did he come back from the store? Dad: hmmm......what am I going to do with two months worth of bacon? *rushes to the kitchen as multiple puppies* BACON!!!!!!!!!!!!!!! WOOF!!!! Yes, GameFreak made a region that is so me. I'm going for Pokemon Sword. It looks like Nintendo of America's President Reggie is retiring April. 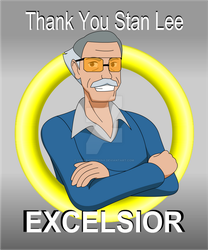 I'd like to thank him for being part of what makes the games enjoyable throughout my childhood. RustyDaPup has started a donation pool! "YOU have a life, live it with your fullest potential"
I am a lot of things, A artist, Spriter, Gamer, Story writer, Skin maker, Website Designer, but most importantly a guy who calls himself a "goofy pup" for my sillyness and creativity. Happy (late) birthday, Rusty! Here's a llama. are ga2 commissions still open?